The pace of business has ramped up to speeds Heath Gebell ’03S (MBA) could not have imagined when he earned an MBA from the Simon School in 2003. Advances in technology now put the world in the palm of your hand. They are faster, lighter, and have more capacity than computers, which—only 20 years ago—would fill a room. In just a dozen years, the cell phone has evolved from a convenient accessory into a must-have tool for keeping up with business. But high-tech tools are only one part of the new speed of business. Since the University of Rochester first opened its business school in 1958—which would become the Simon Business School in 1986—the world runs faster, stretches further, and competes harder every year. And like its peers, Simon has changed with it. These days, the School keeps its edge with strong alumni connections, savvy career services, and cutting-edge coursework that continue to prepare students for the realities of today’s business challenges. While their industries might be different, graduates in finance, marketing, and consulting all share an intimate knowledge of business and an appreciation for how Simon helped prepare them for a marketplace where nothing is as consistent as change. Here are some of their stories. Heath Gebell and his classmates encountered a quiet market when they graduated two years after the 9/11 attacks. “The first day of math camp was September 11, 2001,” Gebell recalls. “I remember clearly someone standing up in the middle of class saying the Twin Towers were attacked. Nobody believed him. Companies weren’t hiring in 2003, when Gebell graduated with a marketing focus. Gebell eventually landed a job with Daymon Worldwide, working on a Wegmans brand team. The company is a private brand strategist and broker for retailers expanding their private brand lines. 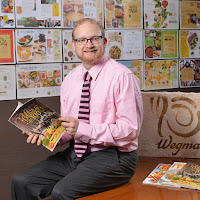 He joined Wegmans directly three years ago, where he helps the company’s business units determine their goals for marketing, drawing up quarterly and yearly plans to maximize sales. 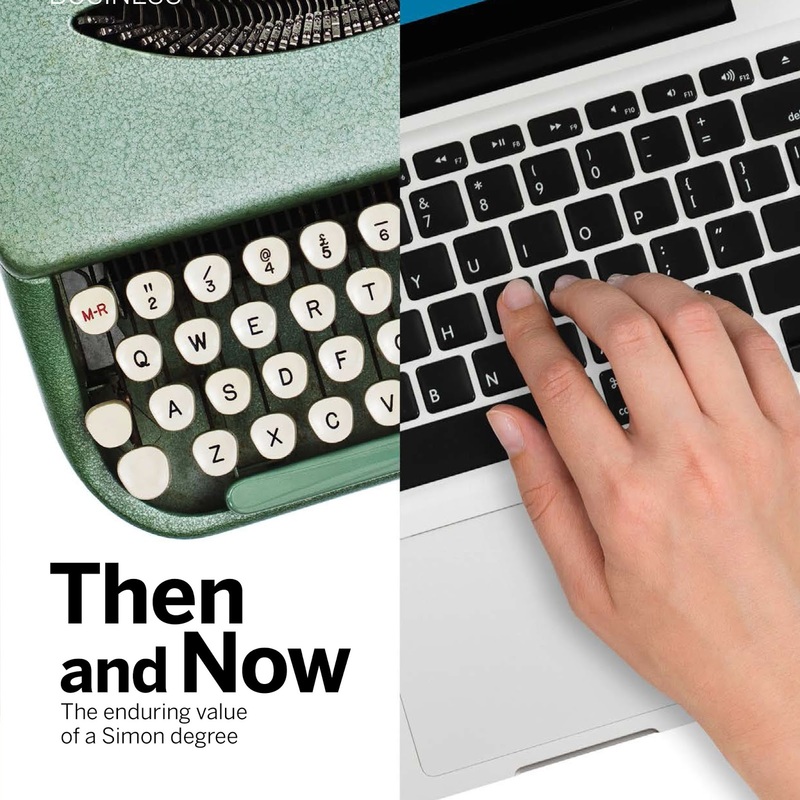 Technology is driving productivity expectations in marketing, he says, and is light years ahead of the 1990s, when he got his start as a SUNY Binghamton student. Gebell graduated with a business management degree in 1996. “I went to school with a Brother word processor that kept everyone up at night because it was so loud and took forever,” he recalls. Gebell recalls viewing e-mail as a listserv on a monochrome green screen. 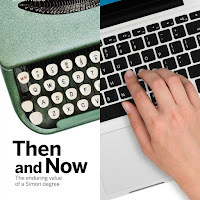 In his first years out of school he used LotusNotes, 3.5-inch floppy disks, dot-matrix printers, WordPerfect, and “a giant Motorola phone—you couldn’t even put it in your pocket,” he says, laughing. 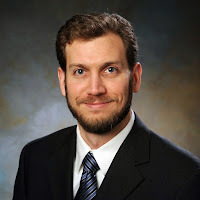 Faster processing speeds and greater connectivity have changed how Gebell and his colleagues work. “We have designers with wireless tablets with pens, and they’re drawing on these digital tablets. The changes we see in that space is incredible. It allows everyone’s work to increase.?.?.?. You set new bars each year, and technology helps us achieve them,” Gebell says. Reliance on smartphones is behind the boom in the digital space, says Mitchell Lovett, Simon associate professor of marketing. Only 10 years ago, computers this tiny did not exist. Now they are an integral part of professional life. “If users go more than an hour without checking it, it’s a big deal. If it runs out of power, they’re panicking,” Lovett says. Seventy percent of online shopping is done by phone, he notes. “Twenty years ago there wasn’t even online shopping. Today they could be in a meeting, they could be on a train, they could be anywhere when they’re shopping,” Lovett says. “We’re just beginning to tap into the possibilities with that and to understand the consumers’ need states through their interaction with this device. Gebell returns to Simon every year to speak on private brands to the marketing strategies class. He has led a discussion group in the class and helped students prepare for interviews. He likes what he sees in Simon’s marketing program. “They’re making an adjustment toward focusing on frameworks and understanding them to think through strategies,” he says. “From a marketing strategy perspective, you never have perfect data. We were learning models, but you needed perfect inputs to make those models work. “Simon has moved toward the framework while keeping its strong focus on the analytical skills to have the right balance,” he says. Simon’s business analytics and marketing analytics programs push the envelope with the richest tools and capabilities students will need in client-facing roles, Lovett says. Gebell chose to attend Simon to hone his analytical skills and move into consumer products. Earning an MBA at Simon redirected the career of another Wegmans employee. 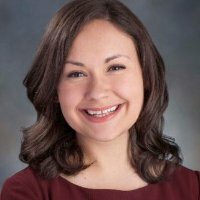 Caitlin Maeder ’15S (MBA) was working as a grocery buyer for the food chain when she took a few non-matriculated classes at Simon. She had just completed her undergraduate coursework in communications and rhetorical studies at Syracuse University. When she enrolled in the Professional MBA program, Maeder took a marketing class, and something clicked. After taking a couple more, she asked to switch her concentration to marketing. Food marketing has transformed as customers have become more knowledgeable in the last decade, Maeder says. As a marketing coordinator working with the bakery, meat, seafood, and produce departments, she anticipates trends in buying and helps them design packaging that conveys the most relevant information. “Organic” and “hormone-free,” once heard primarily in natural food stores, have become sought-after qualities in mainstream products, she notes. “Customers have Google on their phone. Especially with food, they’re becoming more knowledgeable and passionate. Information is really trickling into every area, and food is no different. If they’re looking at the packaging, what do they need to know? If it’s produce, has it been washed? If it’s meat, are there no added hormones? When Maeder was at Simon, Wegmans became her working laboratory. She knew she wanted to continue working for the grocery chain, so she marked her calendar for guest lectures and workshops at Simon to hear how other companies operate, taking notes on tips she could apply in her own work. Wegmans employs many Simon alumni, she notes, including Gebell, who sits only a few feet away at work. While in school Maeder peppered him with questions about his own experience at Simon, from the classes he took to the professors he liked. She also took part in Simon Women in Business (SWiB) events. Begun in 2006, the club focuses on issues of concern to women at Simon and in the business community, and it connects students with alumnae. Simon is a top choice for companies recruiting women. Nearly a third of full-time and Executive MBA students, and more than half of MS students, are female. 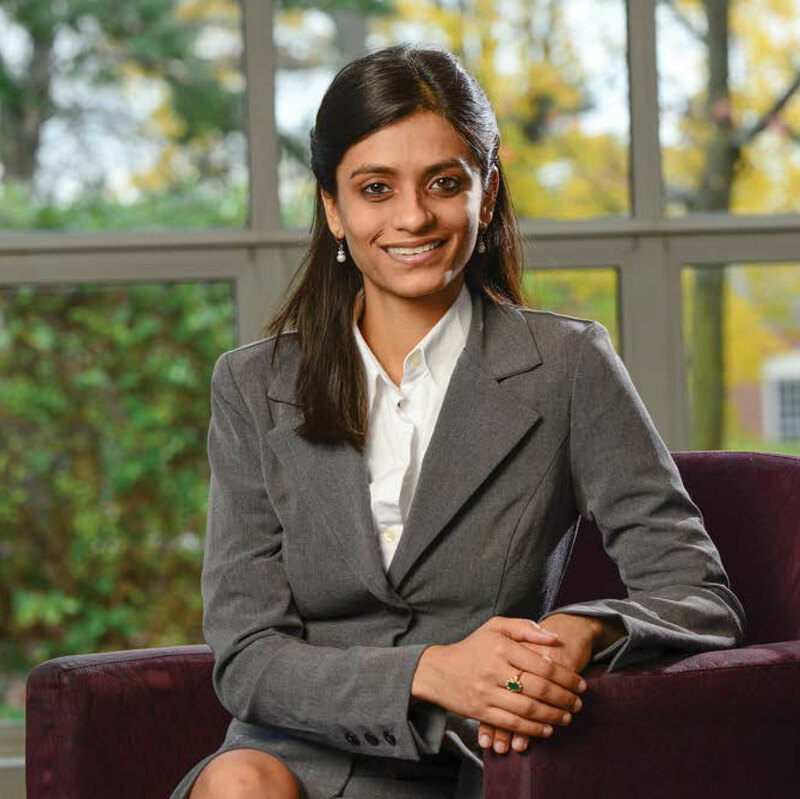 Prachi Soni ’13S (MBA) also was involved in Simon Women in Business (SWiB). And as a member of the Simon Admissions Committee, she interviewed candidates from all over the world. “I loved the diversity of the interview process and meeting people from all over the world,” Soni says. A native of India, Soni was struck by the wide variety of stories shared by applicants from distant countries who wanted to attend the School. “It was fascinating to read their statement of purpose and to talk to those students,” she says. 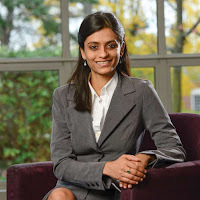 Now a senior consultant with Deloitte, Soni focused on Business Systems Consulting and Competitive and Organizational Strategy while at Simon. A promotion last August put Soni face to face with clients. Based in New York City, she flies to Richmond, Va., on Monday morning and returns home Thursday. Weekends she catches up with friends and family. Travel can be wearing at times, but she relishes the work she does and the bonds she has made with others on her team. With all the changes in business over the years, workplace camaraderie seems to have remained constant. “The best part of it is you have so much to share on your team. We come from all over,” she says. As a student whose sights were set on consulting work, Soni met with Career Management Center (CMC) staff regularly. Shortlisted for a job at Deloitte, she learned roughly seven months before graduation that she had the job. Now she is on the other side of the table with fellow alumni, helping to recruit Simon graduates to Deloitte. She has returned to campus several times as part of panels and workshops. 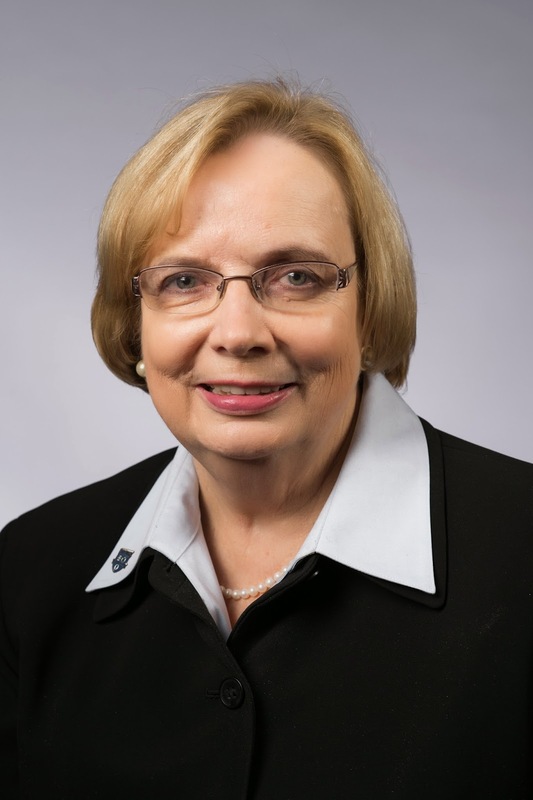 Simon’s CMC looks nothing like most alumni would remember it, says Karen Dowd, assistant dean for career management and corporate engagement. When Dowd took over in 2014, she made some substantive changes. “It used to be that a career services office would have two to three, maybe four at the most, staff members,” Dowd says. “Their job was to put job listings they get out on the job board, and that was about it. “Sometime in the past decade, MBA career services became highly competitive. Business schools around the country realized that if they didn’t take more action, then the opportunities that would help them get their class placed would not come to them,” she notes. Dowd realigned CMC staff to provide one-on-one counsel related to primary industries that hire students: finance, marketing, and consulting and technology. Each MBA and MS student has a designated career consultant who helps with job and internship searches and reaches out to industry. The CMC generates more job and internship leads now, thanks to a beefed-up database of companies, active solicitations to alumni, and expanded marketing to companies with openings. Job postings have skyrocketed from fewer than 100 to nearly 1,300 in the last year. Four hundred are new contacts based on lead-generation efforts. The office also put its most important career content online, pulling in students even before they start their coursework to better prepare them for job searches down the road. A program dubbed Day 1, sent to incoming MBA and MS students in early summer, includes all the components of a career kit: résumé, cover letter, LinkedIn profile, elevator pitch, and networking plan. When students expressed interest in product management jobs at tech companies two years ago, Dowd learned those companies were beginning to hire in numbers not seen before. A tech trek with two dozen students to Silicon Valley firms produced eight job offers, and this year Amazon recruited on campus for the first time, extending several offers. Leigh Braunstein ’93, ’99S (MBA), senior manager at Deloitte, discovered consulting while working in a hospital lab as a cancer research scientist. 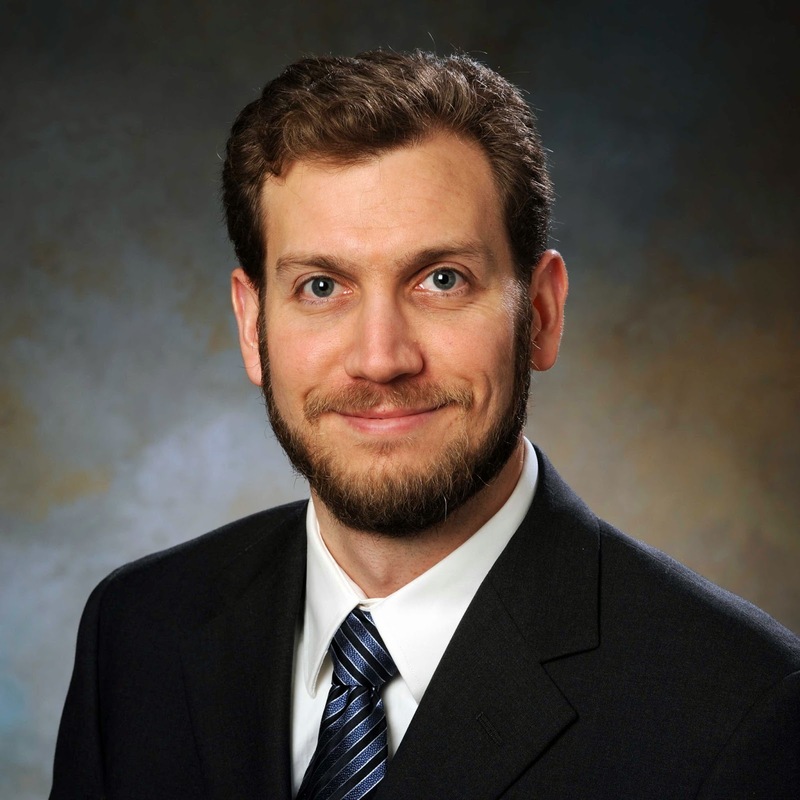 After he was chosen to represent researchers during a merger, he caught the consulting bug. Simon took the natural curiosity Braunstein had as a scientist, blended it with the language and concepts of business, and helped him scale it to a career. To dive into the industry, Braunstein started the health care interest group at Simon. As the group’s consulting arm, he and a half-dozen classmates did pro bono work for health care organizations in Rochester. Braunstein says he entered Simon as a laboratory scientist and emerged with a wider vision. “What the business degree did for me was provide credibility that a researcher, a person of science, now can operate in industry effectively and taught me how to think about the challenges I was going to be facing as a consultant on a much broader scale. How to think multi-dimensionally was the big win for me coming out of the Simon program,” he says. 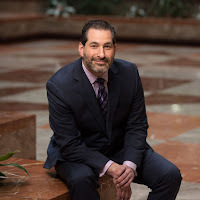 When he arrived at Deloitte, Braunstein ran into a senior partner who asked what discipline he was planning to follow: the provider segment (hospitals and pharmacies), payers (health plans and benefit companies), or pharmaceutical companies. Braunstein said he wanted to follow all of them. He remembers a steadier-paced world earlier in his career. Today’s MBA graduates must be more sophisticated, he says. “The marketplace is flooded with MBA students, and students now need to be much more savvy in what they want to do and where they want to make an impact,” Braunstein says. “As the concept of having a business degree has proliferated, as enterprise has gotten smarter and there are more and more candidates, the demand for acuity and acumen has heightened. Students need to be sharper, crisper, and, one might argue, more experienced so they can better apply what they know coming out. The demand for experience even going into the program has increased. 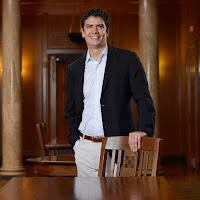 Simon’s Career Management Center has become more effective at connecting students with decision makers in their chosen careers, Karen Dowd says, who notes that Dominic Rasini ’14S (MBA) works behind the scenes helping students prepare for the consulting industry through interview training. “We’re very aggressive about providing our students with case interviewing skills. That’s an effort that did not exist 10 years ago and does not exist at many schools but something that Simon is at the forefront of,” she says. Another leap forward for the CMC is more strategic corporate engagement. Sixty companies regularly recruit on campus and in New York City. When career fairs, recruiting events, and corporate tours are included, the number rises to 200 companies actively seeking Simon students. The office is building a program to provide partner companies with opportunities for student projects, hiring interns, full-time students, and alumni. 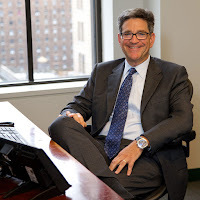 For Michael Kanterman ’84S (MBA), one of his favorite work days of the year is Simon Day, when students come to Credit Suisse’s Manhattan offices “and we run them through what they would do,” he says. Kanterman and Paul Caseiras ’90S (MBA) started recruiting Simon students many years ago by taking phone calls and helping the students through the process. Five years ago, they formalized the connection with Simon Day, making introductions around the firm. 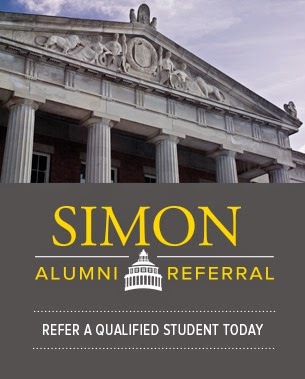 As Simon’s ranks have grown, so have the firm’s recruiting efforts. Alumni at Credit Suisse have opened doors allowing Simon students to attend Super Saturday, a highly competitive interviewing event through which interns are selected. Kanterman works in Credit Suisse’s equity capital markets area, raising capital for issuers and marketing and distributing equity securities on their behalf. His company was a lead underwriter for Alibaba Group’s giant IPO in 2014. The public saw only a small piece of the work that went into it, Kanterman says; what seemed to outsiders like a two-week process took many months to complete. “To see that succeed and walk away from that feeling like you did—that it was a success—you feel good about that,” he says. In a business short on longevity, Kanterman is part of a select group at Credit Suisse who have worked at the firm and its predecessor, First Boston, for 25 years or more. Of the many thousands who have worked at the company, Kanterman is one of only 50 who have been there that long. The tools of his trade have changed. When Kanterman took his first job—two years as an auditor at Ernst & Young—everything was ledgers, pen, and paper. “You barely saw a computer; they were not a valid resource at the time,” he recalls. When he moved to First Boston in 1986, managers asked if he knew computers. He bluffed, said yes, and quickly set about teaching himself how to use a spreadsheet. 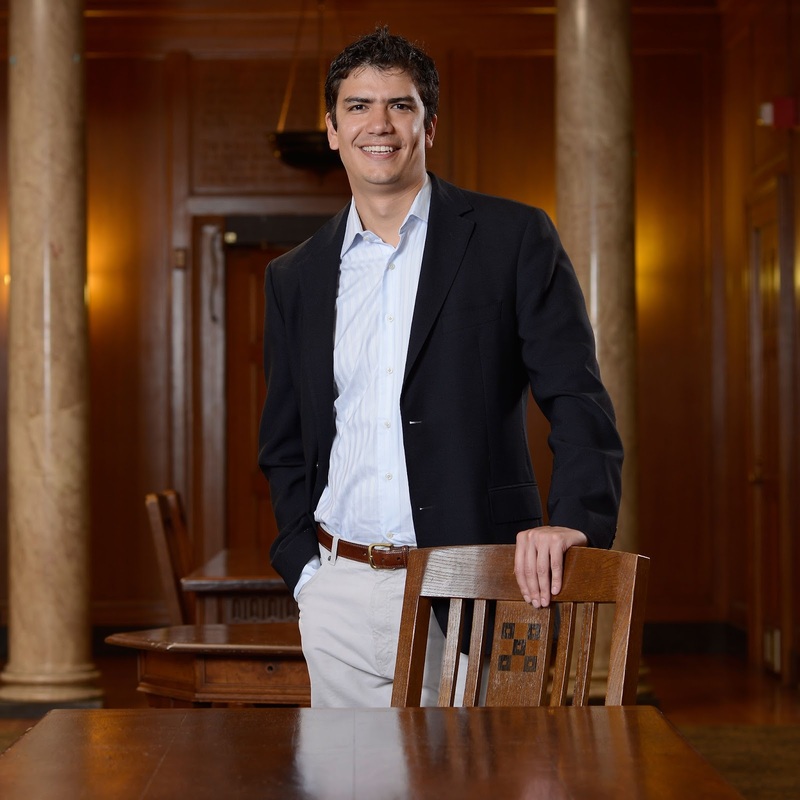 Kanterman may be referring to new employees like Cesar Quijano Serrano ’15S (MBA). Quijano Serrano knows long days. Quijano Serrano started working at Credit Suisse in July. A self-described geek, Quijano Serrano’s job revolves around PowerPoint and spreadsheets. He enjoys doing models and says he would find it impossible to use the calculators that more seasoned coworkers are happy to remind him they once used. Today’s bankers have to know how to program and be adept at using models. Quijano Serrano’s older coworkers also sometimes reflect on a changed Wall Street. At Simon, Quijano Serrano and classmates joined a growing movement that uses business principles to lift up people in need. They worked on a large-scale consulting job for Millennium Challenge Corp., a US foreign aid agency that invests in country-led development in low-income regions. He also was part of a Simon team that placed third in the Tibetan Innovation Challenge, an intercollegiate social entrepreneurship business plan competition organized by the University to help Tibetan refugees. Meeting the Dalai Lama, he says, was a thrill. Quijano Serrano and his contemporaries represent a new era in business that is smart, global, and increasingly competitive. More and more, tomorrow’s business leaders are not just experts in their fields, but adept with emerging technologies that have quickened the pace of business. But it is important to remember that they did not create the technologies and processes, which seem to take a quantum leap every couple of years. Those were imagined, created, and put into practice by dedicated veterans who were once the younger generation themselves, eager to apply what they learned in business school and make their professional mark. Corporate events including meetings, seminars, and conferences are usually organized to discuss the vital objectives on the company. Hence, it is really important to plan corporate event venues San Francisco properly, as inadequacy in event planning may result in mismanagement.